The recent death of a four-year-old Massachusetts girl from an overdose of medications for ADHD and bipolar disorder has brought the issue of medicating children for behavior problems to the forefront of public consciousness. While this sad case shows the extreme end of the issue, it reminds us of the fork in the road many parents face daily. We have a behavior problem. Should I medicate my child? The question of medication is a complicated one, and many parents have understandable reservations on medical, moral or spiritual grounds. This month in Empowering Parents, James Lehman takes a candid, straight-ahead look at what medication can and cannot do for your child. Unfortunately, a diagnosis and medication aren’t always a solution. Medications that target behavior problems are at best a shot in the dark and at worst can have many undesirable side effects and alter the child’s personality. Often, the medication that works on one child won’t work on the next one, so a period of trial and error may have to take place, requiring patience from the parent and the child. Even the diagnoses can be slippery when it comes to adolescents. Depression, which can be treated medically, can look like Oppositional Defiant Disorder, which cannot be treated medically. 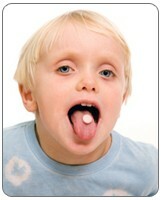 Parents need to know that medications aren’t meant to change specific behaviors. What they may do is rebalance some chemicals in the brain to give the child who is taking them a longer fuse or a little more flexibility in thinking about a situation. Kids who are acting out often turn to a fight-or-flight response. If a medication is working well, it won’t change this tendency toward “fight or flight,” but it may give these kids a little extra time to consider the best thing to do. If you and your doctor determine that medication is the best choice for your child, be observant as your child starts the medication. Look for signs of behavior change. It is possible that they may occur. More likely what you may find is an increased receptivity to alternate problem-solving techniques. A longer fuse or more patience, for example. Then realize that the pills don’t teach the actual problem-solving techniques; it’s up to the adult to teach them and up to the child to learn them. If a medication is working well, parents should see an increase in ability to focus on tasks such as homework and chores. Conversely, a child who simply becomes lethargic or unemotional is probably not benefiting from the medication, because he is not receptive to learning new problem-solving skills and may need a different medication, a different diagnosis or even a different approach to the problem. For some young people, psychoactive medications can mean the difference between being functional and doing the work of growing up, and being a constant behavior problem, with all the consequences that implies. I’ve also seen children and teenagers be put on medication who didn’t need it. Their problem didn’t have a medical basis. They needed to learn problem-solving skills, and their parents were not properly trained to teach them these skills. The key thing to remember is this: With or without medication, many young people who have behavior problems are best treated by creating very structured situations in which to learn appropriate behaviors. Generally, school is a structured environment, so a child may perform better and cooperate better at school where things are more structured. Behavioral change is hardest to measure in the unstructured environment of home. You can teach problem solving skills by starting small and setting limits and offering coaching around one problem you want your child to change at home. Focus in on one thing: doing spelling homework, doing one nightly chore, or talking nicely to your sister. Coach your child toward success with this one thing. Then move on to the next behavioral issue. As parents, it’s important that we manage our expectations around medication. It can help your child to focus and accept another way to work through is behavioral issue. But it will not solve the problem. Only you and your child, working in a structured, problem-solving environment, can do that.